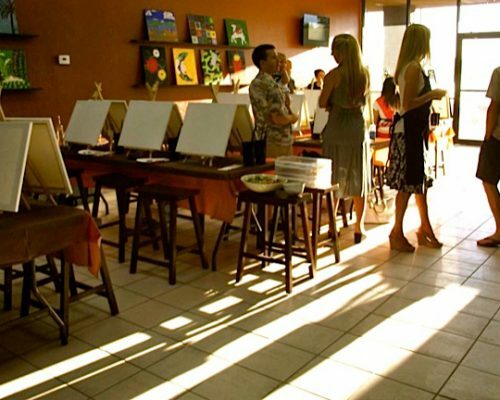 Corporate Events • I Painted That! 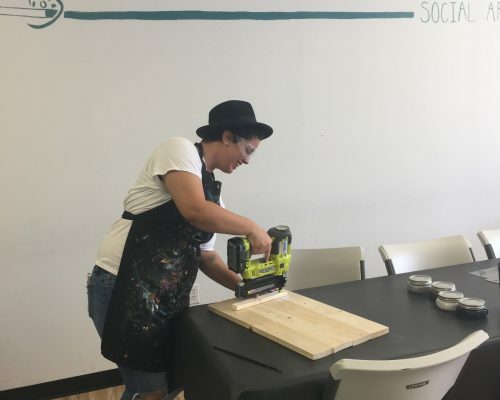 We'll guide you step by step to Paint Your Own Painting or Build Your Own Wood Sign. 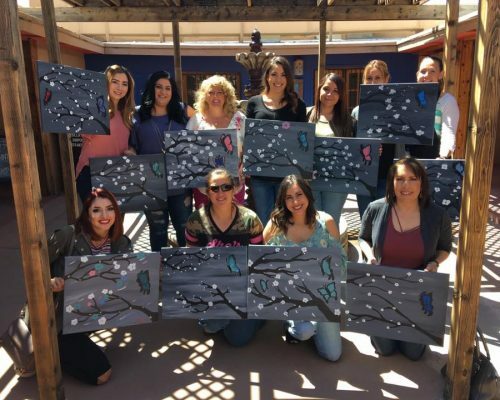 We’re taking team building to the next level! From small intimate groups of ten to hundreds, we’ve got you covered. 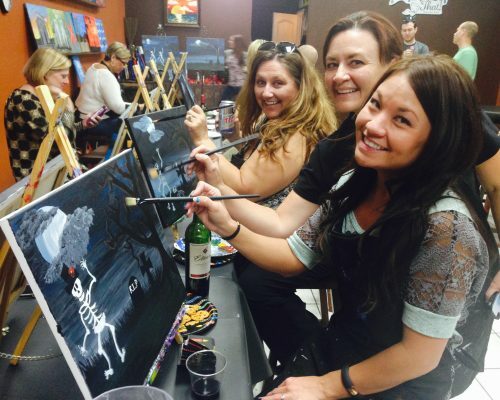 Bring your team to one of our 4 studios or we'll come to you. 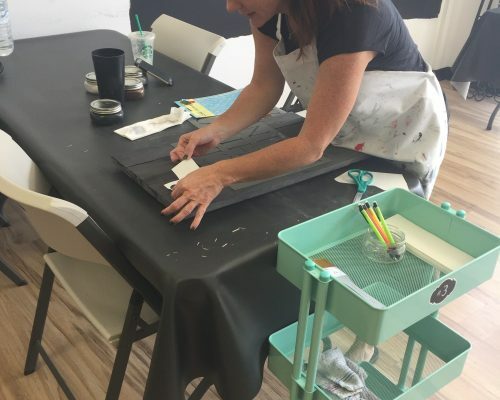 If you come to us, you'll get the same pricing as our public classes. 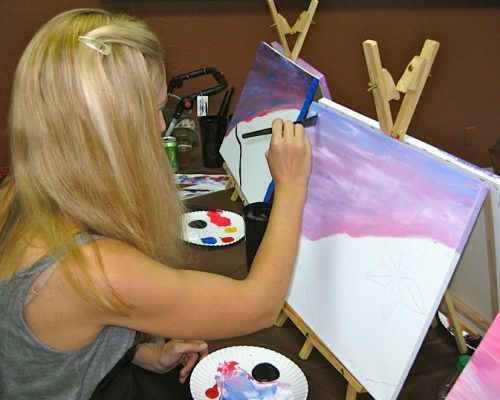 You’ll get the entire studio to yourselves and can customize the schedule to include meetings/presentaions if needed. 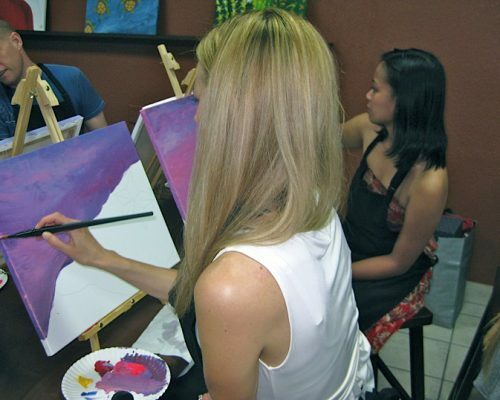 Select any of our paintings or we can create a custom painting for your company. Simple booking. Then just show up with your favorite drinks & snacks and we'll take care of the rest. 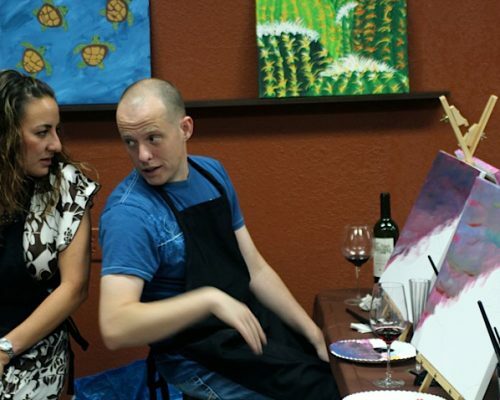 For in studio events, there’s a 10 painter minimum at $35/painter. The reservation may be secured with a credit card. To verify the credit card on file, 2 seats will be charged at the time of booking. 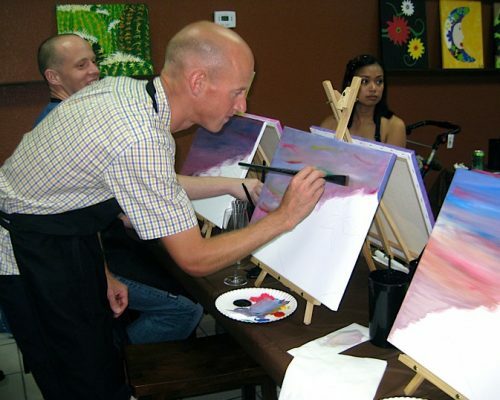 For offsite events, there’s a 15 painter minimum at $40/painter. A travel fee of $150 will secure the booking. You supply the tables and chairs and we’ll bring the rest! 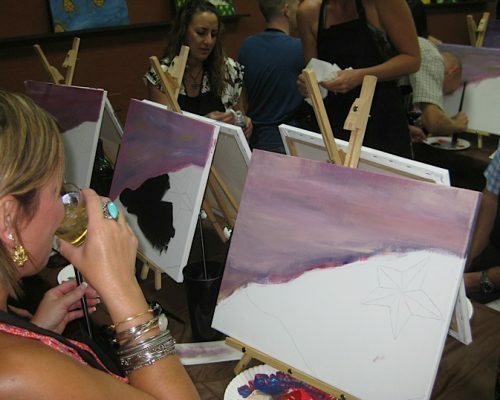 We can host 15 painters to hundreds of painters at our offsite events. If cancellation is given more than 14 days in advance, there is NO fee. We simply delete the event from our system and turn your 2 paid seats or travel fee into a store credit. If cancellation is given less than 14 days in advance, there’s a $150 cancellation fee. If cancellation is not given, and the party does not show up, the card on file will be charged the full party amount. No exceptions! 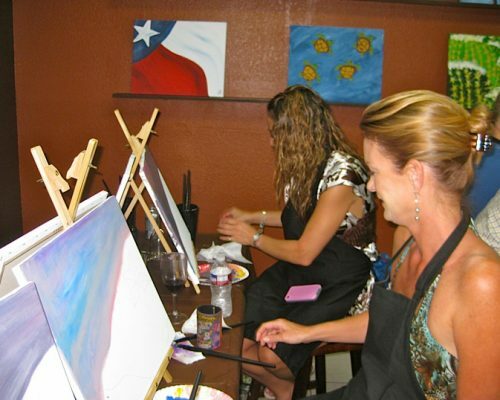 Call us anytime at 915.760.6541 for additional information and to book your next event. 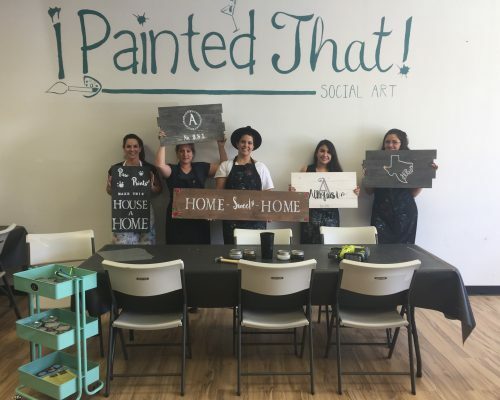 We can’t wait to paint with you and your team! Interested? Fill out this form and we’ll get back to you! Cancellation Policy: All reservations made online, over the phone, or in the studios are non-refundable. In addition, we require 48 hours notice of cancellation so we may offer your spot to another customer. A store credit will be given to individuals canceling with at least 48 hours notice from the class time. "No shows" will not be issued store credit or refunds. No Exceptions. I Painted That reserves the right to cancel classes for unforeseen circumstances. Registrants will be notified at least 2 hours prior to the class time and refunded.